The deadline to register for the Networking and Social Activities is also Friday, February 3rd, so act fast! Pre-registration is required and we don't want you to miss out. On Tuesday, January 24, the Senate Finance Committee held a hearing to consider the nomination of the Honorable Thomas Price to be the U.S. Secretary of Health and Human Services. U.S. Senator Sherrod Brown (D-OH), a member of the Finance Committee, submitted a question for the hearing record on the observation stays issue that AHCA/NCAL has been focused on. Specifically, the Senator noted that he had heard from too many Ohioans whose skilled nursing facility (SNF) care was not fully covered by Medicare because their hospital stays were classified as “observation” rather than inpatient. Senator Brown has introduced in the past the Improving Access to Medicare Coverage Act, which he plans to reintroduce this Congress, that would enable the time beneficiaries spend in the hospital under observation to count toward the three-day requirement for Medicare coverage. AHCA/NCAL is in full support of the legislation, and is part of a large Coalition of national provider and beneficiary organizations advocating for its passage. 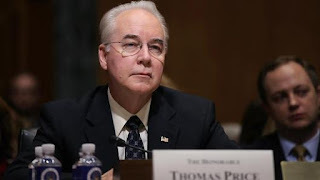 The Senator asked in the hearing record that if Price is confirmed, if he will work to administratively correct this issue impacting Medicare beneficiaries. If Price is unable to address the issue administratively, that Price work with Senator Brown to pass the legislation. AHCA/NCAL has been closely following issues relating to observation stays and the 3-day stay requirement, and their impact on Medicare SNF coverage. Please visit the AHCA/NCAL website to learn more. Tic, tock… time is running out to register in Advance for the 2nd Annual AHCA/NCAL Quality Summit. Get your registration in by midnight this Friday, February 3. The AHCA/NCAL Quality Summit will be held March 6-8, at the Hilton Orlando Lake Buena Vista, just outside the Disney® theme parks. The Quality Summit programming is designed for quality practitioners at all levels. From poster sessions showcasing the innovative practices of providers across the county, to short, targeted LED talks designed to challenge your thinking, to strong breakout sessions, and inspiring and informative keynote speakers; you will leave with information and ideas that you can implement as soon as you return to your centers and communities. Don't wait to register now! Make the AHCA/NCAL Quality Summit your first choice in 2017. We hope to see you in Orlando. AHCA/NCAL has arranged special Disney ticket discounts just for conference attendees and their guests! Bring your family– the Disney theme parks are only minutes away. Tickets must be purchased by March 5, 2017. The next scheduled Skilled Nursing Facilities/Long Term Care Open Door Forum hosted by the Centers for Medicare & Medicaid Services (CMS) has been rescheduled from Thursday, February 9, 2:00-3:00 PM Eastern Time to Thursday, March 23, 2:00 PM-3:00 PM ET. To learn more about Open Door Forums or sign up for alerts check out CMS' website for additional information regarding these webinars. The US Department of Health and Human Services, Office of Medicare Hearings and Appeals (OMHA) has introduced a new unified Request for Administrative Law Judge (ALJ) Hearing or Review of Dismissal form (OMHA-100) to replace the current Request for ALJ Hearing form (CMS-2003A/B) and Request for Review of Dismissal form (HHS-725). Specifically, the OMHA-100 form can be used to request an ALJ hearing or a review of dismissal for all actions that are appealable to OMHA, including appeals of Medicare Parts A and B claim reconsiderations issued by a Qualified Independent Contractor (QIC) or Quality Improvement Organization (QIO), and Part D coverage reconsiderations issued by an Independent Review Entity (e.g., the Part D QIC). The parties or their representatives, however, must follow the appeal instructions that come with a notice of reconsideration or dismissal for specific instructions on how to appeal the reconsideration or dismissal, and where to send a request for an ALJ hearing or review of dismissal. Further, an accompanying Multiple Claim Attachment (OMHA-100A) can be used to identify multiple beneficiaries or enrollees associated with a single request. On January 13, 2017, the Centers for Medicare and Medicaid Services (CMS) reminded providers and suppliers to keep current with best practices regarding mitigation of cyber security attacks. CMS outlined resources to assist facilities in their reviews of their cyber security and IT programs. In the CMS memo, the Agency recommends “ that facility leadership review current policies and procedures to ensure adequate plans are in place in the event of an attack.” The memo goes on to include that “while the new Emergency Preparedness Requirements for Medicare and Medicaid Participating Providers and Suppliers regulation does not specifically address elements of cyber-security, the regulation requires providers and suppliers to have an emergency plan and risk assessment based on an ‘all-hazards’ approach. An all-hazards approach is an integrated approach to emergency preparedness planning that focuses on capacities and capabilities that are critical to preparedness for a full spectrum of emergencies or disasters. CMS encourages providers to consider cyber-security as an element in the development of their emergency plans, risk assessments, and annual training exercises. While not a requirement, facilities may consider adding cyber security protocols to their policies and procedures.” The full CMS memo can be found here. As you may know, the new emergency preparedness final rule impacts Skilled Nursing Facilities, Nursing Facilities and Intermediate Care Facilities for Individuals with Intellectual Disabilities. This final rule is not applicable to Assisted Living Providers. The rule was released on Friday, September 16, 2016, and can be found here. Providers will need to be in compliance by November 2017. AHCA is doing educational webinars and events around the final rule throughout this year, including a 4-part webinar series. It not too late! Assisted living providers still have time to register for the 2nd Annual AHC/NCAL Quality Summit, March 6-8, in Orlando, Florida, held just outside the Disney® theme parks. Hurry, the advance registration deadline is February 3. In addition, attendees can purchase discounted Disney tickets, so consider staying the weekend or bringing the family for a spectacular time! Discounted ticks must be purchased by March 5. NCAL leadership have crafted an education program to help your assisted living organization excel in quality and performance. Plus, there are many networking opportunities to help you expand your professional connections. Get to know your fellow assisted living colleagues while attending the NCAL Reception at Planet Hollywood on Tuesday evening or one of our other networking receptions. Choose from a generous selection education sessions designed specifically for assisted living providers. You've Submitted Your Quality Award Application - Now What? The event will kick-off on Monday with moderated poster sessions and the popular LED Talks, six curated short talks designed to Lead, Engage & Discover. Visit our official website for complete information, registration and summit sponsors. Advance registration ends February 3. You have until February 3rd to register for the 2017 Independent Owner (IO) Conference and sign up for one of the fabulous special networking activities we have planned. These activities require preregistration so don’t wait! Register for the IO Leadership Conference and be sure to select one of the networking options for you and your guests before they fill. If you have already registered for the conference, you can add an activity to your registration by selecting EDIT REGISTRATION. Then sign in using the e-mail address you used when you registered. You and your family can also take advantage of the many wonderful opportunities at Walt Disney World. AHCA/NCAL has arranged special Disney ticket discounts just for conference attendees and their guests! 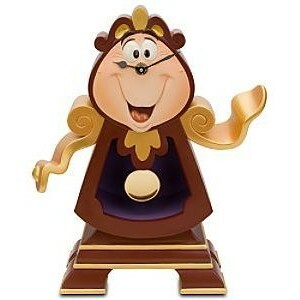 The Disney theme parks are only minutes away. EARN 10 CEUS, share ideas with your IOs from around the country, and leave inspired and refreshed. Visit IO.ahcancal.org to learn about all the exciting educational offerings, great speakers, and REGISTER TODAY! The U.S. Environmental Protection Agency (EPA) proposed rule on hazardous waste pharmaceuticals disposal, published in September 2015 and originally expected to be finalized in 2016 was delayed to this year. With the new administration's "temporary suspension" of business activity for the EPA, it is not clear when the rule will be finalized. AHCA/NCAL will continue to monitor the progress and keep members informed. 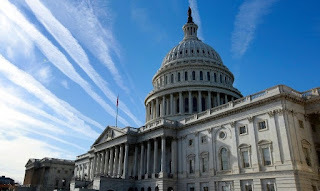 The proposed rule prohibited healthcare settings, including skilled nursing centers and assisted living communities, from disposing of pharmaceuticals considered to be hazardous waste down the toilet or drain. The rule will be effective six months after it is finalized. AHCA/NCAL signed on to a joint letter with other trade associations addressing concerns in the proposed rule. CEUs, Networking, and Walt Disney World Await You! The early registration deadline is less than two weeks away. Enroll in the AHCA/NCAL Shipping Program and the discounts keep coming. The program is free to join and there are no minimum shipping requirements. What’s more, you may be eligible for other special offers and promotions. Visit PartnerShip.com/85AHCA to enroll now. Members who already are enrolled in the AHCA/NCAL Shipping Program may also enter the sweepstakes. Join My FedEx Rewards to enter the FedEx Advantage $25,000 Get Ready Sweepstakes. Enter here. 1 Limit 52 total entries. Limit one entry for signing up for Advantage. Limit 51 additional entries (one entry for signing up for My FedEx Rewards and 50 entries for shipping or 51 entries for shipping). NO PURCHASE NECESSARY. Void where prohibited. The $25,000 Get Ready Sweepstakes is sponsored by FedEx Corporate Services, Inc. Open to legal residents of the 50 United States and D.C., 18 or older and a member of an eligible FedEx Advantage affiliate as of 1/8/17. Begins 1/9/17; ends 3/3/17. For the Official Rules, go to smallbusiness.fedex.com/get-ready-rules. 2 Use the American Express® Gift Card only at US merchants that accept American Express® Cards, except cruise lines and recurring payment. No ATM use. Funds do not expire. Not redeemable for cash, except where required by law. Additional limitations apply. See Cardholder Agreement for complete details. Gift Card is issued by American Express Prepaid Card Management Corporation. American Express is not the sponsor of this sweepstakes. The US Department of Health and Human Services (HHS), Centers for Medicare & Medicaid Services (CMS) has released a final rule, Medicare Program: Changes to the Medicare Claims and Entitlement, Medicare Advantage Organization Determination, and Medicare Prescription Drug Coverage Determination Appeals Procedures, that is part of HHS’s three-pronged approach for addressing the increasing number of Medicare appeals and the current backlog of claims waiting to be adjudicated. The rule provides new provisions that will expand the pool of HHS, Office of Medicare Hearings and Appeals (OMHA) adjudicators; increase decision-making consistency among the levels of appeal; and improve efficiency by streamlining the appeals process so less time is spent by adjudicators and parties on repetitive issues and procedural matters; but will not solve the current backlog, according to HHS. See Chief Administrative Law Judge, Nancy Griswold, and Departmental Appeals Board Chair, Constance Tobias blog for more information at: https://www.hhs.gov/blog/2017/01/13/strengthening-medicare-for-current-and-future-generations.html. AHCA/NCAL concur with the American Hospital Association’s (AHA) position that these small changes to the Medicare appeals process will not likely bring HHS any closer to clearing the current backlog. Payroll-Based Journal: Submit Staffing Data by Feb. 14! The deadline for nursing centers to submit October 1, 2016-December 31, 2016 staffing data is February 14. We encourage facilities to submit early to avoid system delays. Providers are encouraged to review the December update of the PBJ Policy Manual before they finalize their submission. Additionally, PBJ 2.2.0 was released on January 22nd and includes minor updates to the PBJ and CASPER reporting systems. Members should review the PBJ Provider User’s Guide to review these changes. Start the year off right by attending the 2nd Annual AHCA/NCAL Quality Summit: Where Excellence Has No Limits! Held March 6-8 in Orlando, Florida. This event promises to deliver highly-focused and interactive education sessions, plenty of great speakers, and many networking opportunities. Don't wait to register! You can participate in a variety of education form short LED Talks, general keynote sessions, break-out sessions, and daylong intensive sessions. Make the AHCA/NCAL Quality Summit your first choice in 2017. We hope to see you in Orlando. AHCA/NCAL has arranged special Disney ticket discounts just for conference attendees and their guests! Bring your family- the Disney theme parks are only minutes away. Advance registration for the Quality Summit is by February 3rd. Discounted tickets to Disney Parks must be purchased by March 5. On Wednesday, January 18, 2017, the Centers of Medicare and Medicaid Services (CMS) posted their second annual release of the Skilled Nursing Facility Public Use File (SNF-PUF) with data for calendar year 2014. The 2014 SNF PUF provides facility-level, state aggregate, and national aggregate data, with a special focus on two specific RUGs, the RV (Very-high Rehab) and RU (Ultra-high Rehab) categories. Because the 2104 SNF PUF data files contain facility-specific Medicare Part A utilization data, AHCA recommends that members look up your centers in the tables listed near the bottom of this message. Files that contain data for specific SNFs are those that include the 6-digit “Provider ID” in the first column. This 2014 SNF PUF file is part of the CMS data transparency initiative, and follows-up on a similar release of CY 2013 SNF PUF on March 9, 2013. Last year’s SNF PUF data was subsequently reported in the press, was used as part of the U.S. News and World Report nursing home rankings methodology, and used as part of a CMS Recovery Audit Contractor (RAC) investigation. The 2014 SNF PUF contains information on utilization, payment (allowed amount, Medicare payment and standardized payment), and submitted charges organized by 6-digit identification number, Resource Utilization Group (RUG), and state of service. This PUF is based on information from CMS’s Chronic Conditions Data Warehouse (CCW) data files, the 2014 Long-Term Care Minimum Data Set 3.0 (MDS), and the CMS Provider of Service (POS) file. The data in the SNF PUF contains 100% final-action (i.e., all claim adjustments have been resolved) SNF Part A claims for the Medicare fee-for-service (FFS) population. For privacy purposes, CMS did not report data in cell tables that represented 10 or fewer beneficiaries. New in 2014 SNF PUF data is demographic and chronic condition information via hierarchical condition categories (HCCs) that helps better identify patient characteristics and attributes spending risk to facility-level detail. Contains information on utilization and payment (provider charges, allowed amount, Medicare payment, standard payment, stay profiles, beneficiary demographics, and chronic conditions), organized by SNF. Contains information on utilization and payment (provider charges, allowed amount, Medicare payment, and standard payment), organized by SNF and RUG. Note: Due to beneficiary privacy requirements, this file provides facility-level RUG details only if there were more than 10 beneficiary assessments that qualified for that specific RUG case mix. Contain information on utilization, Medicare payment, and submitted charges organized by RUG and RUG by state respectively. Contains information on the number of RV and RU assessments submitted by a SNF, and the percent of RV and RU assessments where the number of therapy minutes falls within 10 minutes of the minimum therapy minute threshold necessary to qualify for that RUG category. Additional information can be found at the CMS Frequently Asked Questions page. If you have any further questions, please contact Dan Ciolek at dciolek@ahca.org. and Access Commission are pleased to announce the release of MedPAC and MACPAC’s joint data book: Beneficiaries Dually Eligible for Medicare and Medicaid. This free data book is part of an ongoing effort by MedPAC and MACPAC to create a common understanding of dually eligible beneficiaries, a relatively small group that accounts for a disproportionate share of both Medicare and Medicaid spending. This is the fourth edition of this book, updated with 2012 data and 2008–2012 trends in the dually eligible population’s composition, service use, and spending. The data book is available on both commissions’ websites: www.medpac.gov and www.macpac.gov. Plato once said that music gives soul to the universe, wings to the mind and flight to the imagination. Members can keep music alive in their communities through music offered by Mood Media at AHCA/NCAL “Member Only” discounted rates. The US Department of Health and Human Services, Office of Inspector General (OIG) has released a final rule, Health Care Programs: Fraud and Abuse; Revisions to the Office of Inspector General’s Exclusion Authorities, which incorporates statutory changes enacted by both the Medicare Prescription Drug, Improvement, and Modernization Act of 2003 (MMA) and the Affordable Care Act (ACA), and revises the definitions applicable to exclusions, proposes early reinstatement procedures and offers a number of proposed policy changes as to when/how exclusions may occur. The rule expands the exclusion regulations applicable to persons or entities that receive, directly or indirectly, funds from the federal health care programs. The rule is effective 2/13/17. 4) refrain from identifying a statute of limitations for OIG to impose affirmative exclusions. In the final rule, OIG conceded that b/c of the comments, it would implement a 10-year statute of limitations period. As part of the Center for Medicare and Medicaid (CMS) efforts to support the data-driven decision making essential for health care transformation, they have just released updated information on chronic conditions among Medicare fee-for-service beneficiaries. The updated data include the most recent data year available. The public data are available from the CMS website, and include data on prevalence, utilization of select Medicare services, and Medicare spending. This data is presented in the aggregate as well as per setting (e.g. SNF). Several resources are available to researchers, policymakers, and other users who are interested in learning more about chronic conditions among Medicare beneficiaries, including tabular geographic data reports (data years 2007-2015) as well as interactive dashboards and atlas (data year 2015). There is no provider-specific data in these files. These public data resources provide researchers and policymakers a better understanding of the burden of chronic conditions among beneficiaries. This information can be used to inform policymakers, local health leaders, providers, and health systems about resource utilization of patients with chronic diseases in order to improve care coordination and health outcomes for Medicare beneficiaries. The US Department of Health and Human Services (HHS) and the US Department of Justice (DOJ) released its joint Health Care Fraud and Abuse Control Program Annual Report for FY 2016, focusing on the two agencies collaborative approach to identifying and prosecuting the most egregious instances of health care fraud, to prevent future fraud and abuse, and to protect program beneficiaries. During FY 2016, the federal government won or negotiated over $2.5 billion in health care fraud judgments and settlements, resulting in over $3.3 billion being returned to the federal government. Of this $3.3 billion, the Medicare Trust Fund received approximately $1.7 billion during this period, and $235.2 million in federal Medicaid money was similarly transferred to the Treasury. The DOJ opened 975 new criminal health care fraud investigations. Federal prosecutors filed criminal charges in 480 cases involving 802 defendants; resulting in a total of 658 defendants being convicted of health care fraud-related crimes. DOJ also opened 930 new civil health care fraud investigations and had 1,422 civil health care fraud matters pending at the end of the year. 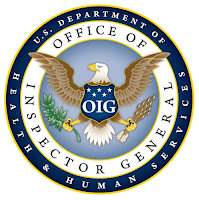 The HHS, Office of Inspector General (OIG) also conducted investigations that resulted in 765 criminal actions against individuals/entities that engaged in crimes related to Medicare and Medicaid, and 690 civil actions which include false claims and unjust-enrichment lawsuits filed in federal district court, civil monetary penalties (CMP) settlements, and administrative recoveries related to provider self-disclosure matters. OIG excluded 3,635 individuals and entities from participation in Medicare, Medicaid and other federal health care programs. Among these were exclusions based on Medicare or Medicaid criminal convictions (1,362) or to other health care programs (262), for patient abuse or neglect (299), and as a result of licensure revocations (1,448). The US Department of Health and Human Services, Office of Inspector General (OIG) has released its updated List of Excluded Individuals and Entities (LEIE) database file, which reflects all OIG exclusions and reinstatement actions up to, and including, those taken in December 2016. This new file is meant to replace the updated LEIE database file available for download last month. Individuals and entities that have been reinstated to the federal health care programs are not included in this file. The Centers for Medicare and Medicaid Services (CMS) has opened registration for “Looking Ahead: The IMPACT Act in 2017 MLN Connects® Call” to be held on Thursday, February 23, 2017 from 1:30 to 3:00 Eastern Time. The Improving Medicare Post-Acute Care Transformation of 2014 (IMPACT Act) requires the reporting of standardized patient assessment data by Post-Acute Care (PAC) providers, including skilled nursing facilities, home health agencies, inpatient rehabilitation facilities, and long-term care hospitals. During this call, CMS experts will discuss goals, requirements, progress to date, and key milestones for 2017. A question and answer session will follow the presentation. There are an estimated 100,000-130,000 Holocaust survivors living in the United States, with the youngest survivors around 71 years old. As part of an amendment to the Older Americans Act of 1965, the Assistance Secretary for Aging was required to provide guidance on serving Holocaust Survivors. The Administration for Community Living (ACL) recently released this guidance. The resource provides information on addressing the unique needs and challenges of Holocaust survivors. The guide uses a person-centered, trauma-informed approach to topics including mental and physical health, nutrition, transportation, caregiver support, outreach, legal and ombudsman services. Join us in Orland for the 2nd Annual Quality Summit and attend a session focused on using data to improve quality in assisted living. Pegg Connorton, MS, with Covenant Retirement Communities will present on resident satisfaction, part of the NCAL Quality Initiative. Connorton will talk about understanding the story your data is telling you including how to improve satisfaction scores and how to use the CoreQ. AHCA/NCAL Staff, Lindsay Schwartz and Lonnita Belk will discuss the resources to help your assisted living organization harness the untapped power of data you collect, focusing on LTC trend Tracker and the newly added measures for assisted living. With these two sessions, attendees will learn how they can utilize data effectively to improve quality in their assisted living. Visit IO.ahcancal.org to learn about all the exciting educational offerings, great speakers, and how to earn CEUs. AHCA/NCAL has arranged special Disney ticket discounts just for conference attendees and their guests! Bring your family—the Disney theme parks are only minutes away. Visit IO.ahcancal.org to learn about all the exciting educational offerings, great speakers, CEUs, social events, and savings options. We’ve listened to your feedback, and this year, there are more networking and social activities than ever before. Congressman Tom Price (R-GA) begins his trek today towards a Senate confirmation vote to become Secretary of Health and Human Services. President-Elect Trump’s nominee for the top health cabinet post will be questioned by the Senate Health, Education, Labor and Pensions (HELP) Committee this morning. The Senate Finance Committee hearing is scheduled for January 24. Price, an orthopedic surgeon, chaired the House Budget Committee and was a member of the Ways and Means subcommittee on Health last session. He is the chief architect on one of the plans overhauling the 2010 health care law and replacing it with a more conservative alternative. Democrats have identified Price as one of eight nominees they will seriously challenge during the confirmation process and have expressed concerns over the Congressman’s position on the 2010 health care law as well as stock trading he did while a Member of Congress. Democratic members of the HELP sought a delay in the hearing process until there could be more investigation into Price’s finances but were denied. Despite opposition, HELP Chairman Lamar Alexander (R-TN) said he expects Price to be confirmed by mid-February. DON’T WAIT! Early registration deadline is just two weeks away. AHCA/NCAL continues to keep the observation stays issue one of its top advocacy and outreach priorities. Our efforts include working with the Observation Stays Coalition to support the Improving Access to Medicare Coverage Act, which has been introduced in previous Congresses and will be introduced again this Congress. This legislation ensures observation stays count toward the Medicare-required three-day hospital stay, and the Coalition continues to connect with key members of Congress to support it. Last year, you helped us by submitting stories that put a face on the financial and emotional impact of this issue. That stories document is on our website here and has been incredibly valuable in sharing with members of Congress. To boost our advocacy efforts, we need your help again! For more information on this issue, visit the observation stays page on www.ahca.org. The document also contains a list of new quality measures, and a useful reference list with links to important information about the SNF PPS that could be used as a general reference and for staff education. There are 21,908 open jobs this month in the nursing care facility (including SNFs), assisted living, and continuing care retirement community (CCRC) sectors this month according to the latest CEB TalentNeuron statistics. The number of open jobs has increased by more than 3,000 since December. The CEB TalentNeuron statistics also show an estimated 2,716,000 potential candidates in the nation’s workforce whose skills may match the qualifications being sought by long term care employers. Nearly 2,200 direct employers are competing for candidates in January with the average position being posted for 50 days nationwide. Of course, the LTC Career Center is always free for job seekers. And, job seekers are using the site with almost 82,000 searchable resumes on the National Healthcare Career Network this month. Job postings on the AHCA/NCAL Long Term Care Career Center network are averaging more than 1,700 views in January. On Thursday, February 9th from 1 – 2 PM Eastern Time, AHCA will hold a webinar on the new emergency preparedness final rule impacting Skilled Nursing Facilities (SNF), Nursing Facilities (NF) and Intermediate Care Facilities for Individuals with Intellectual Disabilities (ICF/IID). This final rule is not applicable to Assisted Living Providers. The webinar includes guest speaker Jocelyn Montgomery, RN, and Director of Clinical Affairs at the California Association Health Facilities. The rule was released on September 16, 2016, and can be found here. Providers will need to be in compliance by November 2017. The webinar will include, among other things, an overview of the key new requirements, a list of tools to assess if you are prepared for the rule, steps to take now to prepare, and time for your pressing questions to be answered. You may register online for the webinar on February 9th: Are You Ready for the New Emergency Preparedness Requirements? This will be the first in a 4-part webinar series AHCA will hold this year on the rule. The award-winning, evidence-based Bathing Without a Battle training on person-centered bathing for people with Alzheimer’s disease and other dementias is now accessible online free of charge. The interactive training provides 2½ hours of free continuing education credit for nurses and 2 hours of free credit for nursing assistants. Students who plan to enter long-term care or geriatric home care are also encouraged to participate in the online training. Training can be accessed through the website www.bathingwithoutabattle.unc.edu. Once registered, users can open modules on practical approaches to showering, tub bathing, in-room bathing, and hair washing; information on innovative bathing equipment and supplies; recommendations for policy change within long-term care organizations; and guidance on regulatory compliance. This new training modality is provided by a grant from the Retirement Research Foundation to the University of North Carolina at Chapel Hill. A condensed training DVD with printable Instructor’s Guide continues to be available for purchase for group in-service training or individual study. 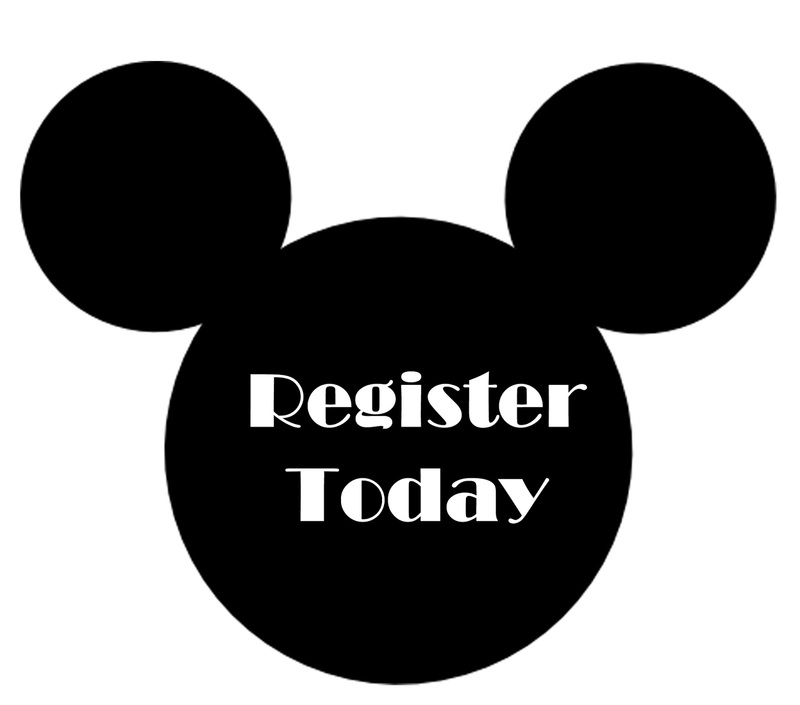 Where Can You Earn CEUs AND Enjoy the MAGIC of Disney? Join us in Orlando for the 2nd Annual Quality Summit and attend the hands-on interactive intensive on INTERACT™ (Interventions to Reduce Acute Care Transfers) for assisted living providers. Developer of INTERACT™, Dr. Joseph G. Ouslander, will lead the presentation team that includes Patrice Evans who was part of the team at Brookdale that implemented INTERACT™, and Lisa Thomson and Susan LaGrange with Pathway Health Services. The program will include an introduction to the INTERACT™ Quality Improvement Program, implementation steps, sustaining the program, incorporation of INTERACT™ into health information technology and leadership strategies for ongoing support and follow up. A presenter will share their experience implementing INTERACT™ in their organization including lessons learned and how to get front line staff involved. Attendees will have the opportunity to work through case studies to improve their understanding of how this program can help staff identify early acute changes of condition, manage in-house when possible and reduce unnecessary re-hospitalizations for quality and financial success. The Centers for Medicare & Medicaid Services (CMS) released a request for information on potential adaptations of the model of care employed by the Programs of All-Inclusive Care for the Elderly (PACE) for new populations, including individuals with physical disabilities. The PACE Innovation Act of 2015 (PIA) provides authority to test application of PACE-like models for additional populations, including populations under the age of 55 and those who do not qualify for a nursing home level of care, under Section 1115A of the Social Security Act. Comments must be received by 5 p.m. EST on February 10, 2017. Comments should be submitted electronically in PDF form to MMCOcapsmodel@cms.hhs.gov. AHCA/NCAL’s State of the States tool, which is a one stop shop for key Medicaid and Medicare information impacting the long term care profession, now includes assisted living (AL) information. Click here to login to this resource and access a summary of each state’s AL requirements on the following: licensure category, admission and retention, scope of care, and staffing requirements. The full report summarizing many more key selected state requirements for AL licensure or certification can be found here. In addition to the recently-added AL information, through the State of the States members can access a variety of information including demographic landscape, median cost of care by state, Medicare enrollment and spending, and high-level information on state coverage of Medicaid state plan home and community-based services. Showing motion pictures in senior living and health care communities has always required a public performance license in accordance with the U.S. Copyright Act. In August, AHCA/NCAL announced the terms of a new agreement for members to obtain an umbrella license from the Motion Picture Licensing Corporation (MPLC). Fortunately, MPLC has agreed to extend the deadline to March 15, 2017 for the introductory discounted rate. Members still have the opportunity to save 40% and lock in their license at $2.00 per sleeping unit/room. Please visit the AHCA/NCAL website for the application brochure or to find more information about licensing agreements. 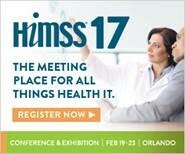 AHCA/NCAL has partnered with HIMSS as an endorser of the HIMSS 2017 annual conference & exhibition, which will be held February 19-23, 2017, in Orlando, Florida. HIMSS, or the Healthcare Information and Management Systems Society, is the nation’s most prominent organization convening thought leaders in health information technology (IT). As an endorser, any member organization of AHCA or NCAL may register for the HIMSS 2017 annual conference at the discounted rate of $885 until January 23, 2017 (equal to the HIMSS member rate). Click here to register – be sure to select AHCA/NCAL as the endorser organization and use registration code “HIMSS17AHCA”. Please email James Michel with any questions. The American Health Lawyers Association will host this year's conference in San Diego, CA on February 22-24, 2017. Sessions will focus on cutting edge issues that are front and center within the post-acute continuum and include cybersecurity and privacy breach, value based payments, SNF requirements of participation, and compliance post-Escobar. We will again have an individual educational track for nursing facility, assisted living and home health attorneys and providers. Specifically for in-house lawyers, we will have both an assisted living and a skilled nursing facility roundtable session, reserved only for corporate counsel. The enter agenda and additional speaker information can be found online. They have reserved a block of rooms at the Manchester Grand Hyatt. When making reservations, please indicate that you are attending an AHLA program. The room block cut-off date is Tuesday, January 24. Go online or call (619) 232-1234 to make your reservation. Judge Reed O'Connor of the US District Court for the Northern District of Texas, has preliminarily blocked part of the Nondiscrimination rule pertaining to discrimination on the basis of gender identity. The Texas judge issued an injunction Saturday against a federal mandate aimed to protect transgender people, finding that the federal health rule violates existing law. None of the other provisions in the Nondiscrimination rule are stopped from being implemented (Franciscan Alliance, Inc. v Burwell). See https://www.texastribune.org/2016/12/31/texas-judge-issues-injunction-transgender-health-p/ for the full story. CMS issues PBJ Information for software developers, vendors and providers and has an updated errata V2.00.2 posted for the PBJ Data Submission Specifications V2.00.0 and is now available. One item has been added to the errata to incorporate edit -4018 which is a new special character restriction for the Employee ID field. During the January downtime weekend of 01/22/2017 Employee IDs that contain invalid special characters shall be automatically updated to a character that is allowed by edit -4018 and will require user action prior to any further submissions for existing employees whose IDs contain special characters. Please see the updated errata for specifics on which characters will be updated and how to proceed with this new edit. After January 22, 2017 XML files containing Employee ID’s with invalid special characters will be rejected. As of July 1, 2016, electronic submission of staffing data through the Payroll-Based Journal (PBJ) is mandatory for all Long Term Care Facilities. You have up to 45 days after the end of the quarter to submit data for Federal Fiscal Quarter 1 (October 1, 2016-December 31, 2016.) The final submission for this quarter is due on February 14, 2017. We encourage facilities to submit early to avoid system delays. On December 7, 2016, the Centers for Medicare & Medicaid Services (CMS) released guidance stating that the agency will not enforce the new requirements of participation (ROP) rule prohibiting SNFs, NFs and dually-certified facilities from using pre-dispute binding arbitration agreements while there is a court-ordered injunction in place prohibiting enforcement of this provision. Members of Congress vote today on a budget package put together by Republican leadership with the intention of moving forward with plans to repeal the 2010 health care law. The resolution, S. Con. Res. 3, sets in motion the complex budget reconciliation process, which Republicans hope to use to avoid the 60-vote threshold to break a filibuster in the Senate. Republicans control 54 seats in the Senate and a reconciliation order only needs a simple majority to pass. The Senate will continuously vote on the budget starting Wednesday and potentially going early into Thursday morning. The “vote-o-rama” includes over 100 amendments to the budget resolution that must be debated and voted on in a limited timeframe per floor rules. A budget resolution does not make any policy changes but instead sets budget terms for separate policy items pursued by relevant committees. Because of this structure, there are strict rules on what can and cannot be included in the reconciliation process. Items that do not have a budgetary impact and social security changes, for example, are excluded. Some Republicans are wary of beginning work on repealing the health care law before a replacement plan is finalized. One of the amendments to the resolution is a deadline extension—from Jan. 27 to Mar. 3—for the development of legislation replacing the current law. The House is expected to vote on the budget package as early as Friday, but concerns about replacement legislation may cause delays. The US Department of Health and Human Services (HHS), Office of Inspector General (OIG) has recently published a final rule, Medicare and State Health Care Programs: Fraud and Abuse; Revisions to the Safe Harbors Under the Anti-Kickback Statute and Civil Monetary Penalty Rules Regarding Beneficiary Inducements, amending the safe harbors to the Anti-Kickback statue by adding new safe harbors that protect certain payment practices and business arrangements from sanctions under the statute. The final rule also amends the civil money penalty (CMP) rules by codifying revisions to the definition of “remuneration” added by the Balanced Budget Act (BBA) of 1997 and the Affordable Care Act (ACA). 3) discounts to beneficiaries under the Medicare Coverage Gap Discount Program. 5) copayment waivers by a Medicare Part D Plan sponsor for the first fill of generic drugs. Lastly, AHCA/NCAL was pleased that OIG incorporated the Association’s comments, revising the definition of “established patient” to encompass situations where a resident has selected a provider but has not yet been formally admitted. Thus, permitting transportation services by a skilled nursing facility (SNF) where the patient has selected the SNF but not yet been formally admitted. For more information see Reed Smith article. A D.C. federal judge is refusing to rescind an order requiring the Department of Health and Human Services (HHS) to clear a huge Medicare appeals backlog, despite the government’s claims that meritless claims will inevitably be paid. Recall that in early December, the same judge granted summary judgment to the American Hospital Association (AHA), requiring HHs to eliminate the current backlog by 2020 (AHA v Burwell).